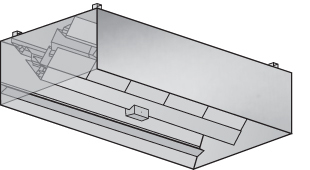 Type I Canopy Double Filter Bank Hoods are designed to capture and contain grease laden vapors and gases from cooking operations. Streivor hoods utilize thermal updraft technology and industry leading grease extraction to provide superior performance with low operating costs. This Island Hood design may be utilized when a back wall is not required. Each Hood model has been tested over specific types of cooking equipment and for a maximum appliance temperature. 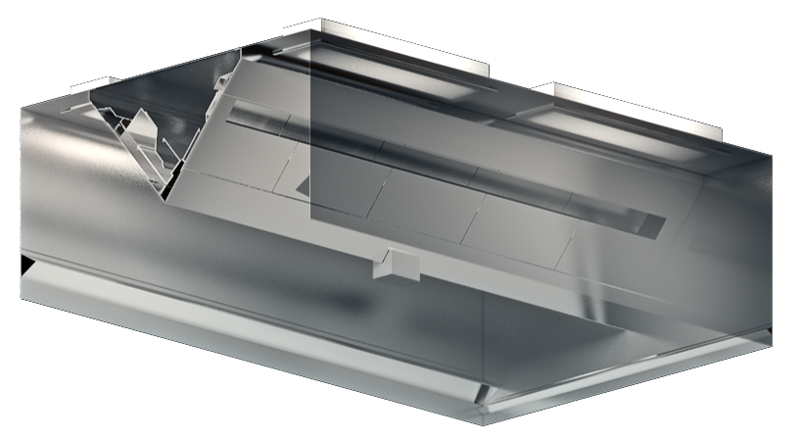 This allows the ventilation designer to choose the correct ventilation hood – one which is specifically designed to exhaust all of the contaminated air being produced from the cooking equipment under it, while exhausting the lowest amount of air possible. The ICBD Island Canopy Box Design Hood has been specifically designed, engineered, and tested to exhaust and filter contaminated air produced from commercial cooking equipment. The ICOD Island Octagon Design Non-Compensating Ventilation Hood has been specifically designed, engineered, and tested to exhaust and filter contaminated air produced from commercial cooking equipment. The ISPC Island Box Canopy Pizza Conveyor Ventilation Hood has been specifically designed, engineered, and tested to exhaust and filter contaminated air produced from commercial cooking equipment. 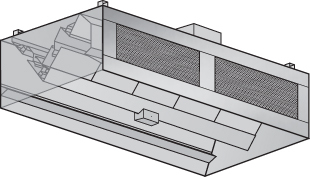 The ISFL Island Canopy Box Designed Ventilation hood With High Velocity Cartridge Filters has been specifically designed, engineered, and tested to exhaust and filter contaminated air produced from Tapanyaki Grills and commercial cooking equipment. 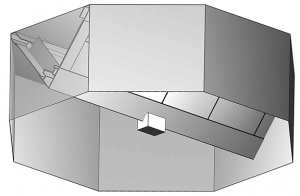 The ICFS Island Canopy Box Design with Front Supply Air Non-Compensating Ventilation Hood has been specifically designed, engineered, and tested to exhaust and filter contaminated air produced from commercial cooking equipment. The ICDS Island Canopy Box Design with Dual Supply Air Non-Compensating Ventilation Hood has been specifically designed, engineered, and tested to exhaust and filter contaminated air produced from commercial cooking equipment.